Latest News Update: We have completed a number of videos to help all parents with basic care tasks. Please visit our YouTube channel to access these. Lastest News Update: ​Are you looking for a new challenge, passionate about working with children & families... well great news, we are now recruiting for a number of roles within the organisation. Please visit our Careers page to learn more. - Once added to the bottle make sure you clip the scooper back into the formula tub so as it does not get dirt or contaminated. 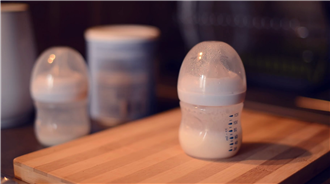 - Drop a few drops of the milk onto your wrist to check the temperature is appropriate before feeding the baby. No comments have been submitted for this article.